A style for every moment. 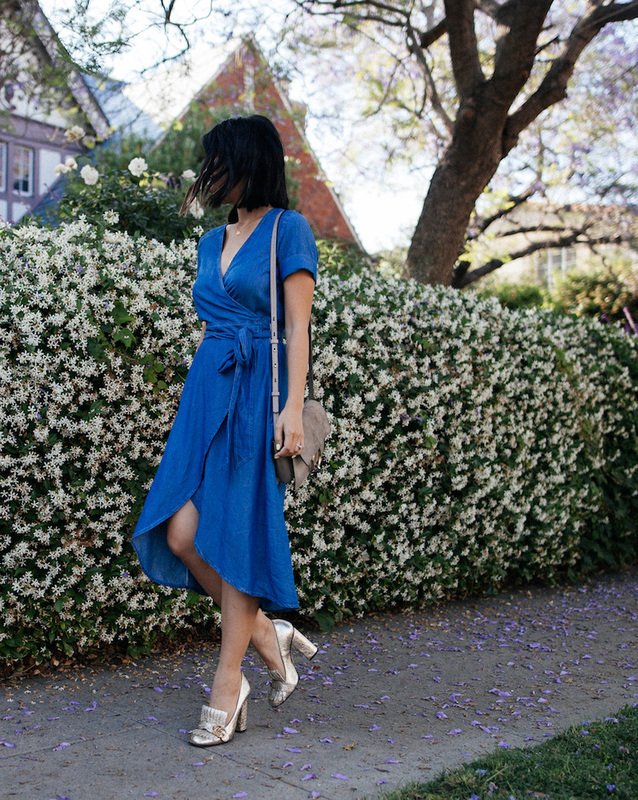 7 For All Mankind dress. Chloe bag. Gucci heels. Marida necklace. You make the wrap dress front and center in the most accessible part of your closet because it's a go-to for days when you're A) pulling your hair out over a million tasks to complete and yet you still have to show a pleasant face at an event, B) going for a chic, yet sensible look that says "I'm your girl" for an important client meeting, and C) on your way to a boozy brunch under the glowing California sun after a whirlwind of a week past. 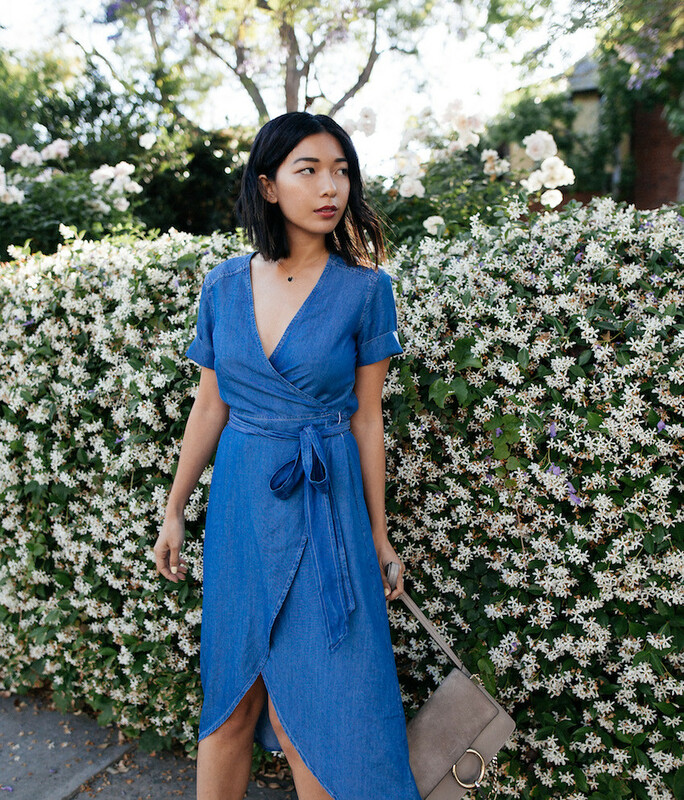 The wrap dress is an essential piece that flatters every body and every mood without begging much thought and 7 For All Mankind's classic conception remains true to their denim DNA, with soft tencel and a perfect washed blue.